Earlier in the week I was informed that my Mosaic Userstyle for Feedly.com was no longer working so after a bit of testing I found the issue and decided to update the Userstyle to work with the latest version of Feedly as well as create a whole new Userstyle that introduces a Responsive Mode to Feedly's app. 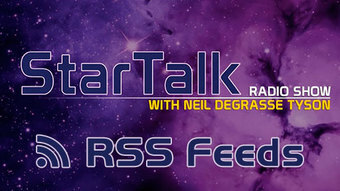 I modified the StarTalk Radio RSS Feed to separate different parts of the feed for better feed handling and organization. Feedlyflare adds a 1-Click Button to a FeedBurner feed to allow people to easily subscribe to it via Feedly. The outstanding RSS Reader app called Feedly released a new version of the app with v14. Version 14 comes with a lot of new features, bug fixes, speed improvements and much more but unfortunately they decided to kill the "Mosaic" view (Grid) from v14. Feedly decided to replace the "Mosaic" view (my preferred view) with a new "Cards" view which essentially was an attempt to do the vertical column layout style made famous by Pinterest. In my opinion, and many others, this was a mistake. I decided to create a userstyle with the browser addon, Stylish. 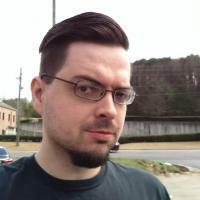 Before we get to the userstyle that I created and the reasons of why I created it...you should first know what a Userstyle is and what Stylish is. Feedly is Awesome! For those who don't know, Feedly is a cross-platform and cross-browser RSS Reader app. I have used Feedly off and on for years now but due to the closure of Google Reader, Feedly has become a vastly more dominant force in the RSS realm. Feedly has a LOT of great features and tools but there was one thing I wanted to be a little bit easier, the process for adding new feeds (subscriptions) to the application.